Scott Huntington is an automotive writer who has written for The Muscle Car Place in the past and is back for more. Follow him on Twitter @SMHuntington or check out his blog, Off The Throttle. There’s nothing quite like driving your Mustang down the highway — the wind in your hair, your favorite music on the radio and your tires gripping the pavement. The only thing that could ruin this perfect picture is a rock coming off the big truck ahead of you, leaving a crack spider-webbing across your windshield. Can you repair your windshield, or does it need to be replaced, and is replacement something that you can do yourself? Replacing an entire windshield can be an expensive proposition, even if you do it yourself. Some small cracks and chips might be able to be repaired, but what sort of damage would require replacement? How extensive is the damage? If it spans your entire windshield, it won’t be something that you can repair. The National Windshield Repair Association limits chip repairs to less than 3 inches and crack repairs at 14 inches or less. How deep is the chip or crack? Windshields consist of two sheets of glass layered with a piece of plastic in the middle. If the damage pierces both the outer and middle layer of the glass, you’ll have to replace the windshield. Where is the damage? If the breakage is on the driver’s side of the windshield, go ahead and plan on replacing it. Even repaired glass can be distorted and make it difficult to see, which is dangerous especially if it’s on the driver’s side of the car. 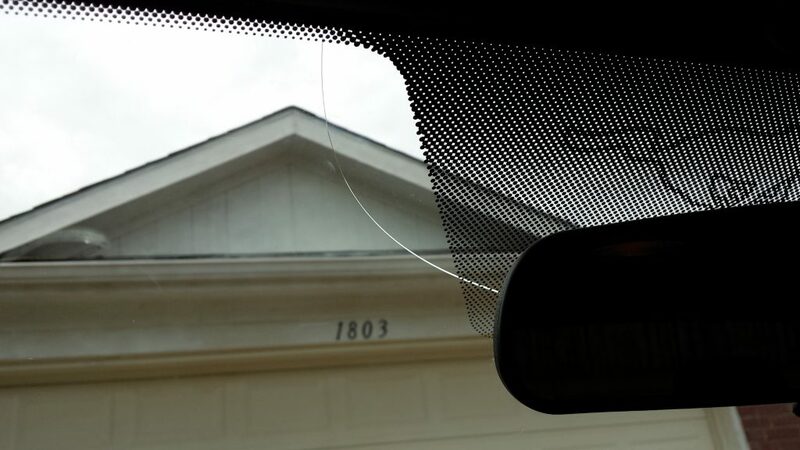 If your windshield damage doesn’t meet any of these three criteria, you can go ahead and repair it or have it repaired professionally. If your windshield falls into any of the three categories listed above, then it’s time to think about replacement. If this is your situation, you need to decide if you want to do it in your garage or if you need professional assistance. Having your Mustang windshield replaced professionally is an easy option. if you’ve got comprehensive insurance, you may not have to pay anything out of pocket, and some places will even come to you to replace your windshield at your home or workplace, so you don’t have to take time out of your day. Glass cleaner — this serves as a gasket lubricant in addition to getting your fingerprints off the newly installed windshield. First, remove the molding holding your old windshield in place. In many cases, you probably won’t need a specialized tool to remove it — just pull it away. Be careful though — if you mess up the molding, you’ll need to buy a new one to replace it. You’ll want to remove the rearview mirror from the inside of the windshield as well. Next, use a box cutter or other knife to cut away the urethane bead holding the windshield in place. Once you’ve made it around the windshield, press the windshield outward from the inside to see if you’ve missed any spots. Now you’ll need to pull the glass out — carefully — and set it aside. Now, take a rough pad and scuff the edges of your new windshield. This will help the new sealant stick to the glass and prevent leaks. Take the time to remove as much of the old urethane as possible. You don’t need to get all of it because the new sealant will stick better to the old stuff than it will to bare metal, but try to get most of it. Now, open your new tube of sealant and apply it where the new glass will sit. Once the new bead is laid, put your new windshield in place and press down gently to help secure it into the sealant. Then replace the molding and trim, clean up any extra sealant that might have leaked out and wait for the sealant to cure — this time will vary depending on the brand of sealant you use, make sure you read the instructions. And that’s all there is to it — if you’re careful and patient, you’ll be able to get yourself a new windshield in no time. I'm a writer and blogger from Harrisburg PA. You find my thoughts on offthethrottle.com or follow me on Twitter, @SMHuntington. I'm a huge Mustang fan.. especially the originals (although that new 2015 Shelby is pretty tempting too). Scott Huntington has written 4 articles for us.